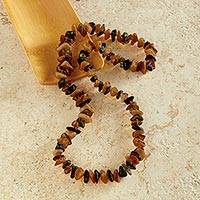 Ambers are organic gems made of fossilized tree resin and sometimes insects or other materials that got stuck in the sap. Each of the amber stones in these earrings from Juan Garc�a of Chiapas, Mexico, appears as a gleaming round sun slowly sinking beneath a Mexican horizon, transporting you to a lazy afternoon on a sandy beach. Fashioned with sterling silver in a high polish finish, the earrings pair perfectly with casual outfits, be it jeans or a dress. 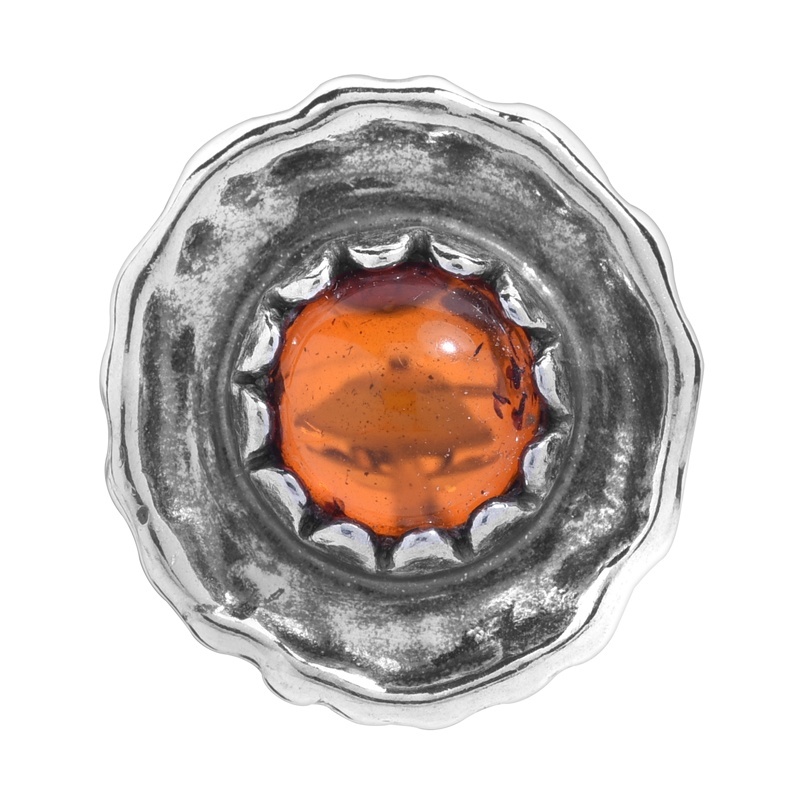 This contemporary take on amber jewelry featuring solid bars of amber treasure comes from Juan Garc�a of Mexico. The variety and unpredictability of natural amber, presented here in a faceted baguette shape, contrasts with the modern, geometric lines of the sterling silver. Sterling silver hooks complete these dangle earrings. 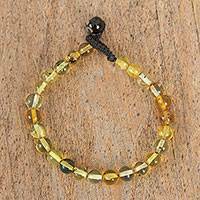 Mexican amber, its natural yellow-to-orange colors reminiscent of the incandescent glow of old-fashioned street lamps, is the highlight of this wristband bracelet. 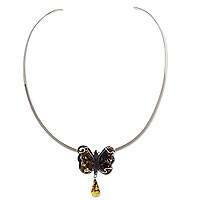 Paola Lopez crafts her design by hand with a button-style clasp made of an agate bead. 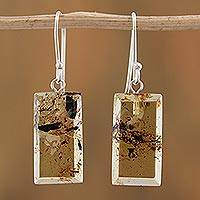 Natural amber is a fossilized resin, and no two pieces are alike in shape and color. Bits of moss and plant life may be seen within droplets of true amber. 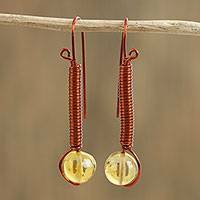 Orbs of golden amber descend from coils of copper wire, as lovely as glowing lamplight shining through the dark. Mexican artisan Nadia Fonseca handcrafts these beautiful earrings using wire wrapping techniques. 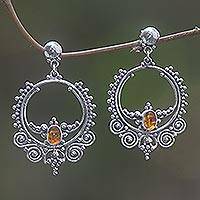 Radiant within an argent hoop, amber lights up this delightful design. Sparkling dewdrops and sterling arabesques adorn exquisite silver earrings by Sukartini. 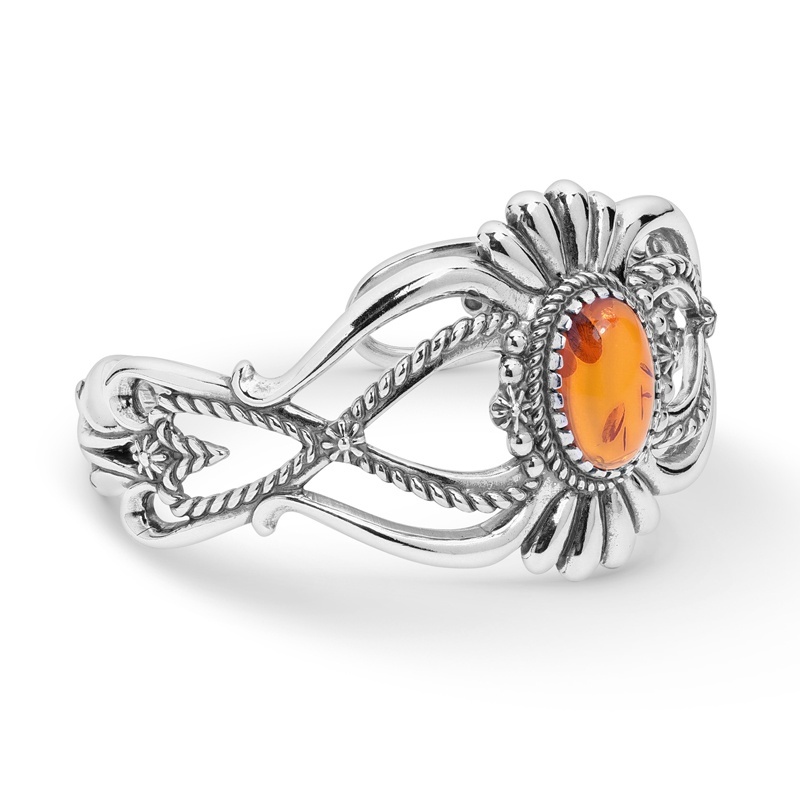 .925 Sterling silver When used in jewelry, amber beads can include a stunning arrangement of tones and hues. Natural amber ranges from yellow to deep orange. It may sometimes even have a green cast to it, as well as opaque swirls within. 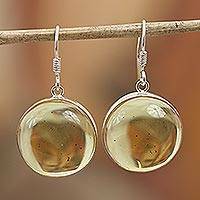 Because amber is the preserved resin of prehistoric trees that grew millions of years ago, it sometimes has tiny inclusions of plants and insects -- making it highly prized.